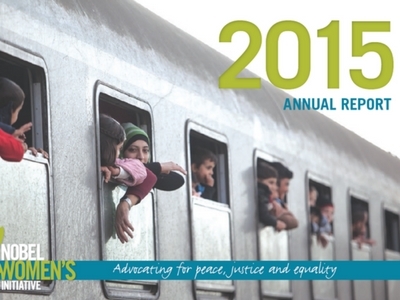 We are pleased to release our 2015 Annual Report! 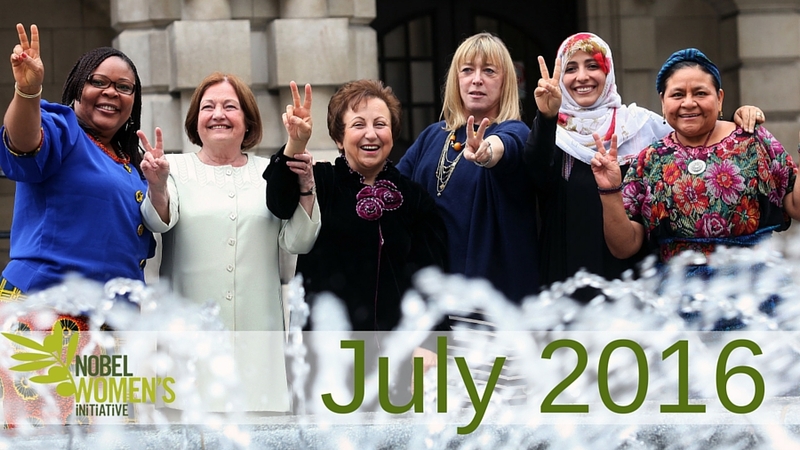 From Colombia and Guatemala to Syria and the Balkans and everywhere in between women are defying the status quo to work for peace, justice and equality. This year’s report is a beautiful poster. 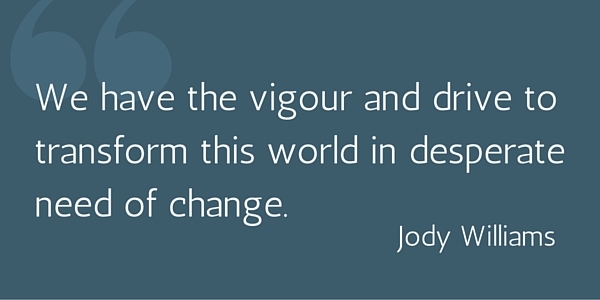 Check it out and learn more about the incredible work of grassroots women. 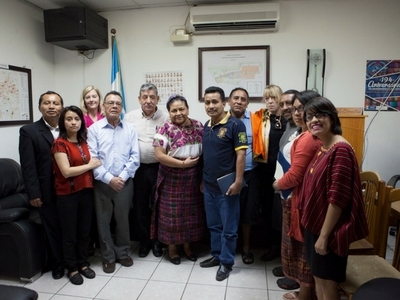 Political prisoners in Guatemala released! On July 18 nine Nobel peace laureates – including Jody Williams, Rigoberta Menchú Tum and Archbishop Desmond Tutu – issued a public letter to call on Guatemalan president Jimmy Morales to drop false charges against seven imprisoned environmental defenders, and to release them. The letter was published in La Hora, a major daily newspaper in Guatemala. On July 22, the seven defenders were released from prison and charges were dropped against them. In July we witnessed several horrible incidents of racist gun violence in the United States. Women are taking action to heal communities impacted by this violence and prevent future gun deaths. 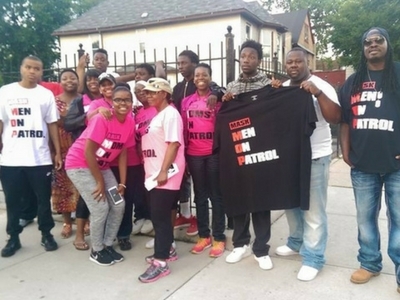 Here are just 5 of the many such initiatives women in the United States are leading to bring more peace to streets across the country. Join us to call on Mexican authorities to restore Brenda Rangel Ortiz’s security measures! Tweet at Mexican President Enrique Peña Nieto and Attorney General Arely Gómez González to call for support for Brenda. 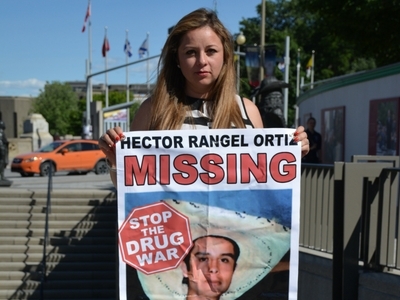 Brenda was one of four Mexican defensoras who visited Ottawa in June to spread the word about the human rights crisis in Mexico. Upon her return to Mexico, Brenda was informed that the security measures provided to her by Mexican authorities would be cancelled. Brenda’s safety—and that of her family—is now at risk. I call on #Mexico attorney general @ArelyGomezGlz and President @EPN to reinstate human rights defender @brennrangel’s security detail!